​We are the experts in tattoo removal in the Indianapolis area. All of your treatments are performed by physicians. We invest in the best lasers available. We have the 1.8 gigawatt Lutronic PicoPlus which is almost 1 gigawatt more powerful than any other picosecond laser in Indianapolis. We also have the Conbio Medlite C6 Q-switched Nd:YAG and the Asclepion TattooStar R Q-switched Ruby lasers. Most other facilities only have a single laser and simply do not have the technology to treat the many types of tattoo ink. You likely will pay no more than you would by having a technician perform your treatment elsewhere with less effective lasers. Most tattoos only cost $100 per treatment for standard Q-switched laser treatment (picosecond laser treatment starts at $250 per treatment). And since our lasers are very fast, we don't charge much more for large tattoos. 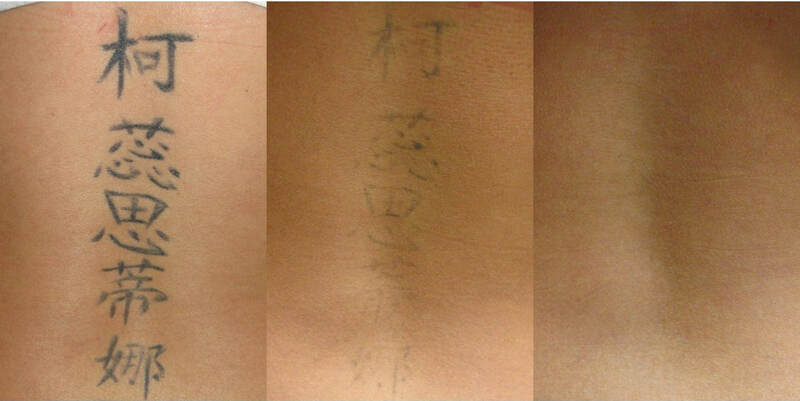 We perform more tattoo removal treatments than anyone else in the Indianapolis area. Believe it or not, there are places around town with no medical supervision and places that have not been doing treatments long enough to completely remove a single tattoo. Be sure to ask who owns the laser center and how long they have been doing laser treatments! Tattoos are removable. Scars are not. Don't risk your appearance on a one-laser-in-a-strip-mall facility. VERY LIMITED TIME OFFER: Purchase 6 PicoPlus treatments up front and we'll treat your tattoo an unlimited number of times until it's gone! We are limiting this to 20 clients and tattoos must be hand-sized or smaller. This will be the best deal for clients with potentially difficult to treat tattoos such as colorful tattoos since they can take more treatments than average, but anyone may take advantage of this offer.